I love how ScootPad sends me weekly updates on my students. One of the first things I look at in my account is how many of my students have logged in that week. I work with a great number of students every week, some of whom rotate into and out of my class, depending on a number of factors. Thus, seeing the number of sign ins may not give me all I want to know in terms of who has signed in most recently. Can you tell who has logged in just by their avatars? Remove the smiley face from your avatar. I’ve even asked my students to choose a mood from one of 3 that I’ve given them to choose from. For example, have everyone choose either dancing, hypnotize, or whistling. Mix it up and make it fun. 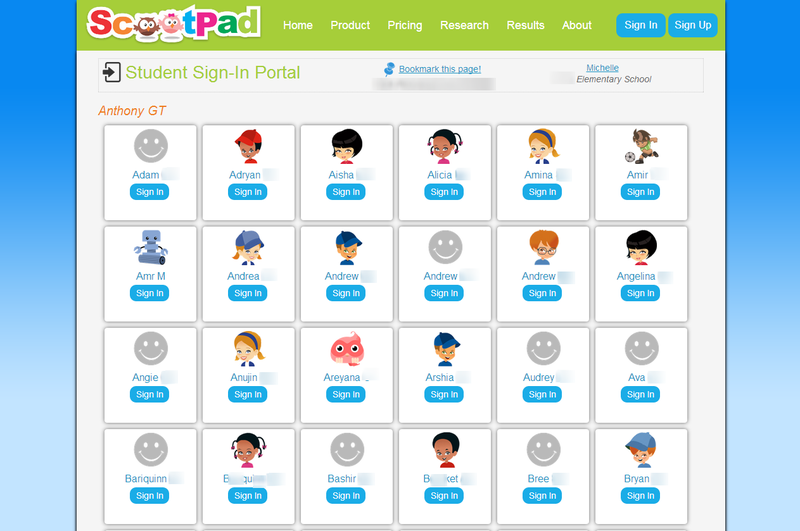 The kids love the challenges, and you can easily see who’s logging in, even before you check your dashboard for results.